Define Fibromyalgia? The Billion Dollars Question! Define Fibromyalgia: The trap of the names! Myofascial Pain or Fibromyositis: It indicates a local pain and inflammation of a muscle and its connective tissue. If it is in an isolated area, it may be considered as a local problem. However, it may be the start of fibromyalgia especially if it occurs in different areas. ME: It is fibromyalgia triggered by an infection. This is a good example where a disease is defined by the trigger instead of its cause. This distracts attention from the disease itself. However, it also highlights that not all fibromyalgia are the same and this is important for the treatment. Psychological Disturbance: The worst of all is to explain the unknown through some kind of psychological disturbance. 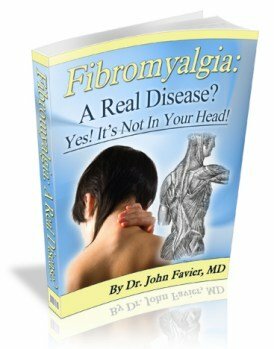 A famous Professor of Medicine has even written that fibromyalgia was another name for hysteria. This is totally wrong. I defy anyone to diagnose fibromyalgia from a psychological profile! Muscle Rheumatism: Some names given to fibromyalgia tried to describe the array of symptoms. One of them was muscle rheumatism. This was a gem of a name and I would prefer it to fibromyalgia. It would certainly help define fibromyalgia. The understanding behind it is that the joints pain was not due to the joints themselves but to the surrounding muscles and the release of toxins by the spastic muscle cells. Rheumatism, which describes a disease of the joints and their appendages (joint capsule, ligaments, tendons, muscles) is not a primary cause of pain in fibromyalgia but secondary to muscle cell disease. Whilst muscle rheumatism was a better name, someone demoted it by adding psychogenic! "Psychogenic muscle rheumatism" what a disgrace! Chronic Fatigue Syndrome describes fibromyalgia where fatigue is the main symptom. Whilst some would make it a different entity, it is probably fibromyalgia with a different prominent symptom. Myofascial Pain Syndrome is another form of fibromyalgia. Classically fibromyalgia pain is above and below the belt and on both sides. However, there are fibromyalgia forms starting with a more localised pain, usually on one side. This is where the entity of myofacial pain syndrome has been used. A number of fibromyalgia sufferers have started as a myofascial pain syndrome before extending to a fully blown fibromyalgia. Is myofascial pain syndrome a starting form of fibromyalgia? Most probably! An another interesting point is that the long term treatment of fibromyalgia applied to those “starting” forms can only help them getting better and even avoid their extension to a full fibromyalgia picture. The fibromyalgia long term treatment helps any starting form or “other names” situation. The long term treatment has no risk to worsen any symptoms. Any worsening, if any, is due to the natural evolution of the given disease! Why should we wait for fibromyalgia chronicity to get deeper and worse?